The Spanish royal family is cutting its own allowance to tame the Palace's 8.3 million-euro annual budget and curb the anger and frustration of protests after the adoption of a new austerity package. 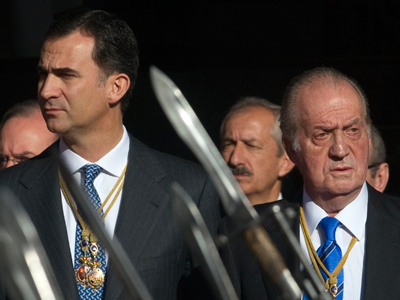 ­The salaries of King Juan Carlos and Crown Prince Felipe will be reduced by 7 per cent — to about €272,000 and €131,000. The king and prince voluntarily decided on these measures in an effort to help Spain battle its budget deficit, according to a Palace statement. 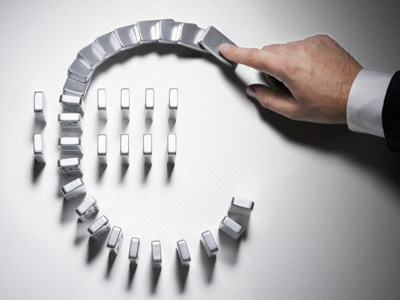 Spain's economy has the highest unemployment rate in the eurozone, standing at 25 per cent after the country entered its second recession in three years. 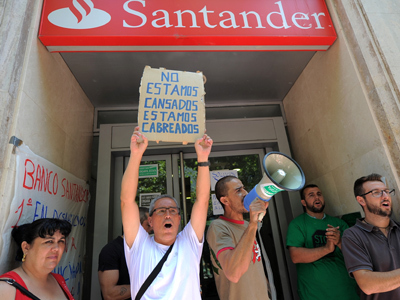 Last week, the eurozone agreed to come up with a €100 billion rescue package for Spanish banks. But Spain’s own austerity program, which has sparked massive demonstrations for over a year, includes pay cuts for public workers, along with higher taxes, which are supposed to bring the economy €65 billion by 2015. 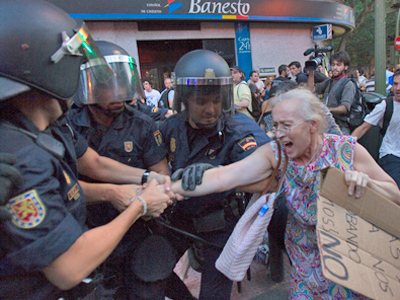 The royal family's announcement comes as hundreds of protesters clashed with riot police in Madrid over the new round of austerity measures last week. Around 80 people were injured in these clashes, many by rubber bullets fired by the police. 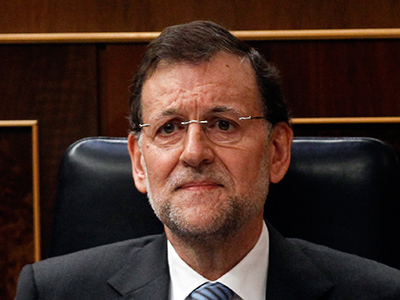 In addition to venting anger at Spanish Prime Minister Mariano Rajoy, Spaniards have also become increasingly frustrated with the royal family following a series of scandals, reports the Daily Mail. The king angered many by going on a elephant hunting trip in Botswana at a time when one in four working-age Spaniards is out of work. The king's son-in-law Inaki Urdangarin also fell out of favor after he was accused of involvement in an embezzlement scheme that took from a sports charity, an allegation he denies.